There are many benefits of balance bikes that we have already outlined here on this website. These include a safe way to learn to steer and balance to get a child ready for a normal pedal bike. A balance bike will also provide a great deal of independence for children, the extra confidence that comes with riding a balance bike and not to mention the sheer enjoyment of racing away from Mum & Dad! If you go out on the family walk with a balance bike then your child will be able to travel much further than if they were walking and it is a lot more fun for them than being pushed in the buggy or riding on a buggy board. The perfect place for a bike ride! There are also numerous health benefits to balance bikes, as riding will provide a great work out. 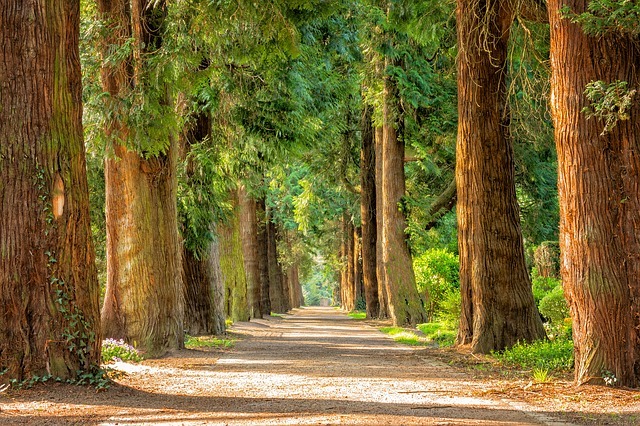 Children love balance bikes so much that they will want to explore as far as possible, so this will include running up hills and exploring parks, towns and villages. They can be out for hours on their bikes which means they will be burning off lots of calories! Balance bikes will get children in to the great outdoors and away from computer games, tablets and the television, thus reducing the amount of time they are sitting around so there will be a lower likelihood of them becoming overweight and decreasing the risk of developing type 2 diabetes. It goes without saying that activity and exercise is beneficial for children, and some of the major benefits include a leaner and fitter body and the development of stronger muscles and bones. Regular exercise will also help children to sleep better (which is also good news for parents), and should help to improve their general outlook on life. Balance bikes can also help to develop social and family bonds, as slightly older children will want to get out on their bikes with their friends and longer walks as a family are a lot more fun than sitting around watching TV. We all know that it is no fun being trapped inside on a rainy day – so balance bikes provide the perfect opportunity to get out and run off all of that excess energy that children always seem to have! Happy cycling! 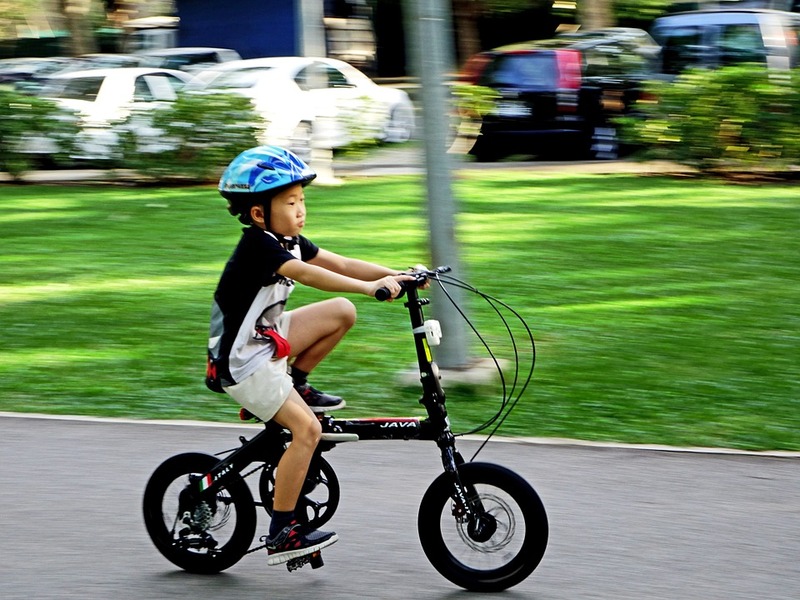 Once your child has been riding a balance bike for a while and mastered the arts of steering and balance, they will eventually grow out of their balance bike and be ready to move on to a ‘normal’ pedal bike. There is such a huge range of pedal bikes for younger children in the market that we won’t try to review or recommend all of them, but there are some general tips and advice that it may be worth bearing mind when you are looking for the next bike for your child. No stabilisers or training wheels! The first rule is – Don’t worry about stabilisers or training wheels! These were all the vogue in the 1980’s (before balance bikes were invented), but after mastering a balance bike the last thing that your child needs is help to keep their balance. The main differences they will find between the balance bike and the ‘normal bike’ is the action of pedalling and the fact that pedal bikes will probably be heavier than a balance bike. This means that you should probably be looking for a bike that is light enough for them to handle, and of course the same rules regarding saddle height will also apply to balance bikes. Check out our guide to balance bike saddle heights here, so make sure that their feet can be flat on the floor and it is a comfortable ride. The freedom of a pedal bike! It can be tempting to buy a much larger model as a first pedal bike in the hope they will grow into it, but if the bike is too heavy and cumbersome and the rider can’t operate the pedals this could result in a backwards step. There are plenty of bikes to suit all sizes and children’s pedal bikes will usually start from as small as 12 inch wheels – which is a similar size to many balance bikes. It may take some time for your child to get used to pedalling, so be prepared for a couple of falls and it may be worth practising on grass to start with. A smaller child may struggle with the extra leg strength required for pedalling, but it shouldn’t be long before a good balance bike rider masters the pedals and then there will be no stopping them! One other thing about balance bikes is that they keep their value very well, so as long as the bike is not too battered after a couple of years of riding then you should be able to sell on your model – especially if it is one of the higher value brands.